The number of mobile phones being used will soon outnumber the population of planet Earth, a report by the World Bank says. The statistics released today indicate a sharp rise in the use of mobile phones in the last decade, and in recent years that of smartphones. The figures are a strong indicator by which to measure human and economic development, and the data published today is seen by the World Bank as somewhat positive. According to the July 17th report, around three-quarters of the world's inhabitants now have access to a mobile phone. The way that a phone is used is also striking, the report, compiled by the World Bank and infoDev, says. The number of mobile subscriptions in use worldwide, both pre-paid and post-paid, has grown from fewer than 1 billion in 2000 to over 6 billion now, of which nearly 5 billion are in developing countries. Ownership of multiple subscriptions is also becoming increasingly common, suggesting that their number will soon exceed that of the human population. Of particular interest was the increased use of smartphone applications, or apps. According to Information and Communications for Development 2012: Maximizing Mobile, more than 30 billion mobile applications were downloaded in 2011. As well as the obvious games, such as the popular Angry Birds, such software extends the capabilities of phones, for instance to become mobile wallets, navigational aids or price comparison tools. In developing countries, citizens are increasingly using mobile phones to create new livelihoods and enhance their lifestyles, while governments are using them to improve service delivery and citizen feedback mechanisms. "Mobile communications offer major opportunities to advance human and economic development - from providing basic access to health information to making cash payments, spurring job creation, and stimulating citizen involvement in democratic processes," said World Bank Vice President for Sustainable Development Rachel Kyte. "The challenge now is to enable people, businesses, and governments in developing countries to develop their own locally-relevant mobile applications so they can take full advantage of these opportunities." Use of apps and mobile phone technology was found to put to great use across the Indian subcontinent and Africa. In India, the state of Kerala's Government program has deployed over 20 applications and facilitated more than 3 million interactions between the government and citizens since its launch in December 2010. In Africa where mobile uptake has increased dramatically in the last few years, there is also a huge shift of the way people use their phones. 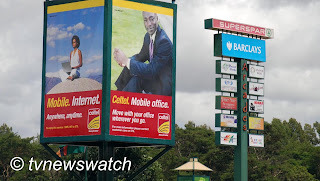 At the close of 2011, Kenya was the leading region in terms of mobile usage with a 67.2% mobile penetration rate. This was followed by Tanzania with 56% mobile penetration and finally Uganda with 38.4%. 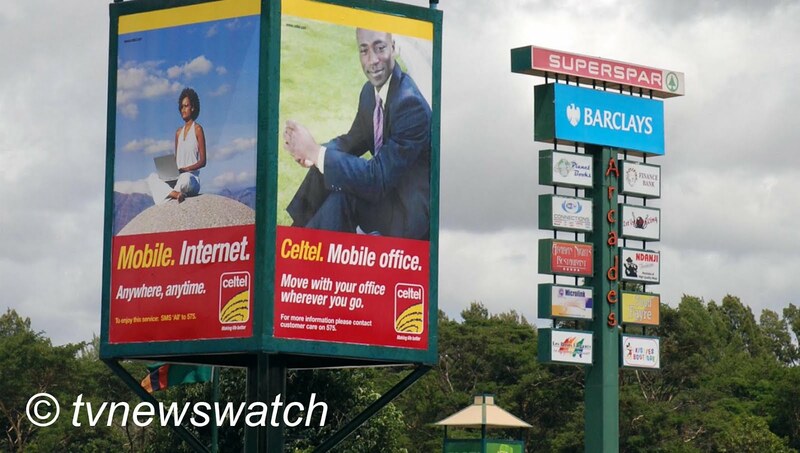 These rates translated to 26 million mobile subscribers in Kenya, compared to Tanzania's 23 million subscribers and Uganda's 12 million mobile users. As expected, with increased mobility of the population the region continued to register very few subscribers still using fixed lines. Available data shows there were 374,942 fixed lines in Kenya, 327,114 in Uganda and 174,678 fixed line subscribers in Tanzania in 2011. This also translates into low broadband and other Internet penetration, though there has been a slight uplift in recent years and growth in this sector is expected. In terms of Internet usage and penetration Kenya led in the region with 14.3 million users (36.3% penetration) compared to a meagre 4.9 million users (2.5% penetration) in Tanzania and 4 million users (12%) in Uganda. But Kenya has emerged as a leading player in mobile for development, largely due to the success of the M-PESA mobile payment ecosystem. Since 2007, Kenya has been leading the way with an innovative mobile phone technology that has transformed the lives of millions of people and businesses. The M-Pesa system allows those without a bank account to transfer funds as quickly and easily as sending a text message. A joint venture between mobile phone giant Vodafone and Kenya's Safaricom the microfinancing system has grown to a staggering 17 million subscribers in little under 5 years. Now over 50% of the adult population in Kenya use the service to send money to far-flung relatives, to pay for shopping, utility bills, or even a night on the tiles and taxi ride home [BBC]. Other organisations in Kenya are also making use of modern smartphones. Nairobi-based AkiraChix, for example, provides networking and training for women technologists. "Technology is one of the key factors driving Africa's projected economic rise," a statement from AkiraChix says. "As such, there is enormous potential for maximizing the growth of technology through increasing the number and quality of women in technology." And Kenya is not the only African country taking advantage of mobile technology. Across parts of the massive continent, a new app is gaining popularity amongst smartphone users and businesses alike. Dubbed as Foursquare for Africa the NikoHapa service has drawn in an estimated 4,000 users and 70 businesses within a span of just eight months. The geo-location social network began in Kenya but has crossed the border into Uganda and has set its sights on Nigeria and other African countries. While there are similarities to Foursquare, unlike the smartphone-based location service NikoHapa works ultimately as a loyalty programme, a subscription service that gives the app's creators a solid means of making money. The other difference is that users need to send a text or scan a QR code found on a sticker on their receipt. There are advantages for both the customer and business. The customer has an incentive to get freebies, while the business can benefit from increased advertising and a loyal clientele. At one pizzeria users get a free 9-inch pizza after seven check-ins, but while the customer is happy so too is the restaurant. "Every time you win a pizza it will show up in your timeline. It's free advertising. All of those things are so much better than a smartcard," Mambo Pizza's Nish Shah explains. NikoHapa has also described the the business model positively. "Rolling out was a fantastic experience. The feedback we received has strongly enriched the product and will reflect in our just out card product," said Bernard Adongo, NikoHapa CEO and founder [BBC / HumanIPO]. With the price of equipment coming down in price, the advantages for developing economies is clear. But even developed economies can take advantage of the increase saturation of mobile devices. "The mobile revolution is right at the start of its growth curve," says Tim Kelly, Lead ICT Policy Specialist at the World Bank and one of the authors of the report. "Mobile devices are becoming cheaper and more powerful while networks are doubling in bandwidth roughly every 18 months and expanding into rural areas." While fixed line connections are more reliable and faster at present, mobile telecommunications is the future.